Location is the next consideration for gardens after motivation and plant selection. The ideal location will have 6 - 8 hours of sunlight a day, access to rain barrel or hose water, and convenience to the kitchen. In less than ideal locations or apartment dwellings, look for sunny spots where you can locate movable containers. To choose a location, observe the sunlight over a few days. Generally, yards on south facing sides of structures will get more light in Ohio. Be sure to consider side yards and front yards as planting locations. Trees not only reduce sunlight but dense roots make planting difficult. Further, walnut trees release a tanin through their roots that kills nightshade family plants including tomatoes and green pepper. Choose a location as far from trees as possible. When picking the place for your edible garden, choose the size of your beds at the same time. 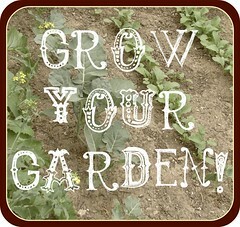 Ideally, beds will be no more than 4 feet wide to allow for easy access when weeding and harvesting. How much space do you need? It varies. I'm willing to bet that once you start gardening you will always want more beds. For your first garden, 40 - 50 square feet will go a long way. I like to visually draw my garden. Plan Garden has an planner that makes and stores your plans online. It costs $25/year. An alternative is to download Garden Planner, which is free for 15 days and $20 to purchase. Pen and graph paper are also great! The Grow Your Garden assignment this week is to choose the location for your garden. Draw your bed(s) and begin to envision your new landscape. I had every intention of sharing a video look at my garden beds with you. Nature had other plans, however, and my beds are covered with a foot or more of snow! Below is a quickie outline I made of the garden as it stands now. We plan to demolish our deck and add another two or three beds this spring. Don't forget about the seed potato group buy! I'm collecting orders until February 23.